Effectively manage incidents with our incident management software. Simplified online data intake, automated follow-up processes, corrective action assignment, and root cause analysis. Eliminate redundant data entry and manual workflows. Incident submission web forms and automated emails enable a paperless environment that enhances communication across the organization. Tracking incidents uncovers high-risk areas, produces in-depth trend analysis, and reduces the probability of future claims. This results in lower loss ratios and reduces total cost of risk. 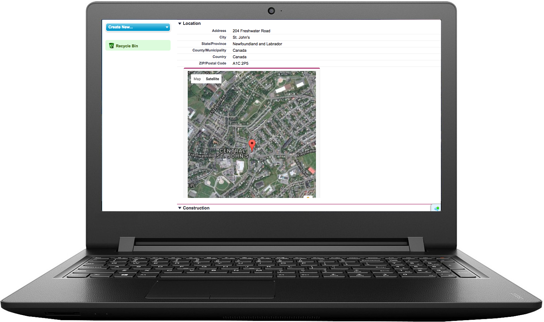 Our incident management software efficiently tracks and responds to incidents by capturing data the moment it is available. Determining root causes and implementing corrective actions will bring understanding of problem areas and reduce the chance of repetitive losses. Attach supporting documentation and notes to any record, allowing for full transition to a paperless environment with our incident management software. Upload files directly or electronically via email into the document database, which is then searchable by title, subject, or content for quick retrieval. Export and share documentation with outside parties in one click. Our customizable incident management software can handle any hierarchy and host an unlimited number of levels.Track claims and run reports summarized by the appropriate department or division, allowing effective reporting on the costs and activities of specific business units. Associate all incidents, safety inspections, audits, results, and supporting documentation with appropriate locations for quick retrieval. Drill down to groups or individual locations to uncover areas that require immediate attention and receive feedback on initiatives. Immediately capture incident data from any smart device with our online data intake tool. This collection method is proven to increase data integrity and capture all necessary information. Mandatory fields and remote access eliminate in-house data entry and make data available for instant analytical reporting, uncovering previously unknown high-risk areas. Take the guesswork out of data analytics. Reduce costs and improve safety by drilling down to specific claims, incidents, events, and locations. Modify pre-built report templates such as summary, ad-hoc, TCOR, as-of dates, loss ratios, and claim and incident trends, or create customized reports from scratch with an unlimited number of filters and tools to dissect data. Export reports to PDF or Excel to share outside the platform, or automatically send emails based on schedules or trigger events. Combine incident data from all modules to efficiently identify areas that require further attention with customizable graphs and charts. When reporting on claims, incidents, trends, assets, or policies, you can quickly receive a snapshot of initiatives and measure their effectiveness. We understand the importance of historical data and enforce strict data integrity rules during implementation. We’ll work with you to clearly define internal processes and understand data relationships. We can migrate data from various internal systems, spreadsheets, 3rd party software providers, or past and current service providers such as TPAs, adjusters, and carriers. Our implementation is a thorough process that enables maximum efficiencies and customized workflows to adhere to any internal environment. Our team will work closely with you to define the end goals, system set-up, and customization. We provide project timelines with crucial milestones and desired end dates to keep the project on track. Business functions and output flourish when automation is enabled and redundant tasks are eliminated. We understand that technology maximizes efficiency and can significantly impact an organization as a whole. Our system accepts data feeds in and out of the platform to communicate with in-house accounting, HR, and payroll systems; adjusters, TPAs, and carriers; workers’ compensation providers and agencies, and more. Security at ClearRisk is of utmost importance and we realize it’s a big concern for organizations looking to move their data to the cloud. We take great pride in working with our partners to provide the most secure platform available. Contact us to request our Security Program documentation detailing Application Security, Data Centre Security, Compliance and Certifications.